Frances wire-free bra is available in white and various other choices. 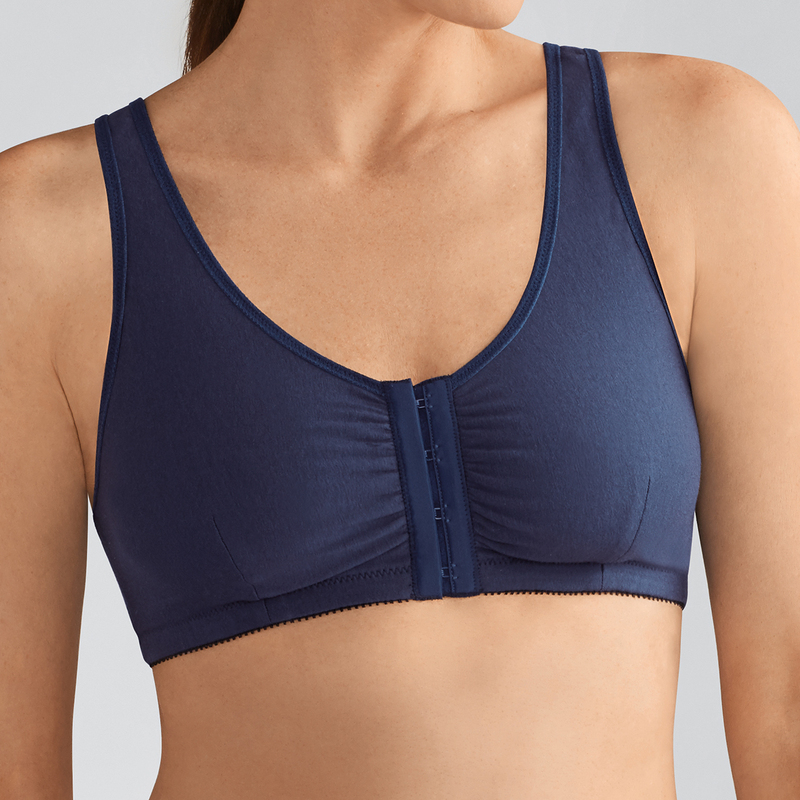 Ideal for post-surgical or leisure wear, the Frances leisure bra is beloved by many because it fits so well and stays comfortable. Ultra-soft cotton fabric offers soothing comfort to sensitive skin, while the front fasteners are easy to use, even when your range of movement is diminished just after surgery. The pockets in the cups will hold a breast prosthesis or shaper securely in place.